The Q gets a crack at the 67’s: OHL teams have has no answer for the Ottawa 67’s as of late, who now have points in 23 straight games. This weekend the QMJHL’s Gatineau Olympique will get a chance to slow down one of the CHL’s top teams. The 67’s and Olympique are playing a home and home cross over series that wills ee the teams play in Ottawa Friday night and Gatineau Saturday afternoon. 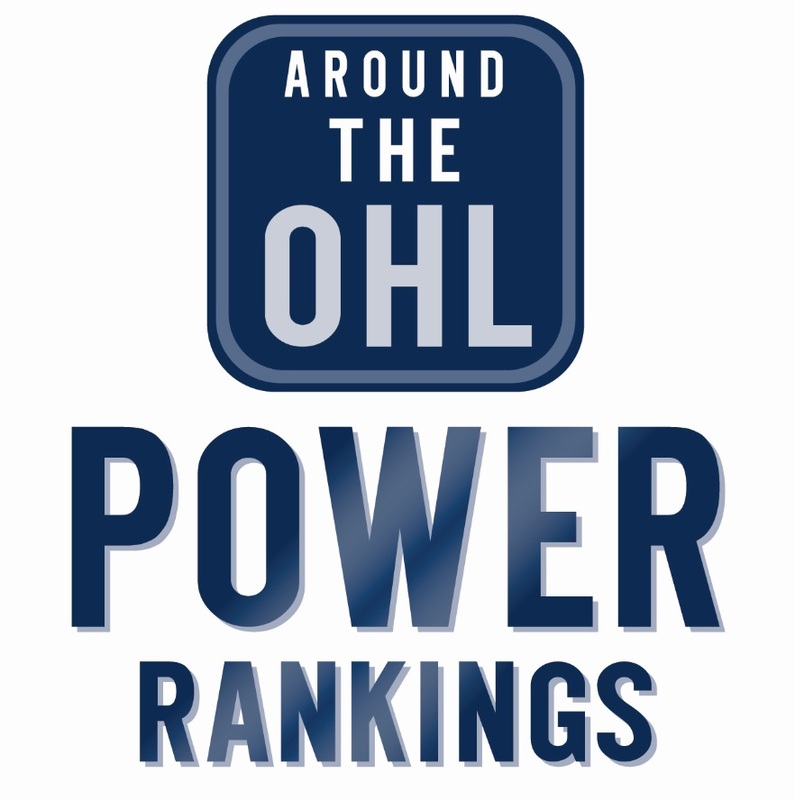 OA’s a plenty: They have been a handful of overages this season who are getting plenty of interest from NHL and AHL clubs, with five of the league’s top seven scorers are in their OA season. Oh brother: The Robertson and Suzuki families have plenty to be proud of. As far as the Suzuki’s are concerned, Nick (27GP 20-21–41) and Ryan (26GP 8-25–33) have combined for 74 points in 53 games, while Jason (30GP 30-27–57) and Nick Robertson (16GP 9-7–16) have combined for 67 points in 46 games. Nick Robertson miss some time due to injury while the move to Niagara hasn’t slowed his brother Jason hasn’t slowed one bit. Winning Wolves: There has been a resurgence in Sudbury with the Wolves having won four straight, and currently have a .667 winning percentage. The last time they had a winning percentage even close to that was in 1999-2000 (.610%) and it’s their highest since the 1994-95 season (.697%). A sight for sore eyes for fans up in Sudbury, where the team hasn’t made it past the opening round of playoffs just twice since going to the OHL final in 2007. Shorthanded Sal: Salinitri leads OHL with five shorthanded goals, four of which came with the Sting, who lead the league with 12 goals with a man down. His only goal since joining the Oshawa Generals also came with a man down. He’s added a pair of assists during his first four games as a Gen. Positive impact: The Knights are one of the league’s hottest teams, and the return of captain Evan Bouchard is a big reason why. He’s a plus-20 in the 11 games since returning to the Knights with has five goals and ten assists. Not that surprising from a player is a plus-88 during his OHL career. Penalty Killing Knights: Speaking of the Knights, who are typically known for their high flying offense and strong powerplay, have boasted the league’s top penalty kill. They’ve allowed just nine goals against in 101 opportunities, that’s good for a 91.1% success rate. Going back as far as I could go, a team has never finished the season with a penalty killing percentage higher than 90%. Lots of scoring in Sarnia: There has been no shortage of goals in Sarnia this season as the team has scored the second most (123) goals in the OHL, while also allowing the second most (129). That’s an average of 8.4 goals during Sting games this season. Sarnia has only played two games where three or fewer goals were scored, and have played 11 games where there were ten or more goals. Also, 18 of their 30 games this season has seen eight or more goals scored between the two teams. Stalling Steelheads: Mississauga was one of the early season surprise stories, despite have several key players graduate, they were among some of the top teams in the OHL’s Eastern Conference. They have since come back to reality a bit and have now lost six straight games. Their recent skid may make it easier for them to part ways with older guys like Owen Tippett and Ryan McLeod when the time comes. Butler and Burghardt back in the Bay: Some good news up in North Bay, is that Head Coach and General Manager Stan Butler has returned to the team. According to the team’s website, Butler resumed his managerial duties this week and is expected to be back on the ice in the near future, he has been on medical leave since September 30th. Luke Burghardt has been cleared to play, he thought his playing career was over when he quit hockey in the summer due to medical reasons. Firebirds look to get back into the win column: Flint is in the midst of another losing streak with five straight losses. That followed a stretch that saw them win three games during and eight game stretch, a tremendous turnaround for a team that lost 17 games to start the season. All three wins have come against West Division opponents but they’ll look to change that this weekend with games against Erie and Hamilton, both of those teams have struggled lately as well. Tags: Jaker's Dozen, Josh Jacobs, London Knights, Mississauga Steelheads, North Bay Battalion, Ottawa 67's, Owen Sound Attack, Sudbury Wolves. Bookmark the permalink.